I placed this quality class of Jersey cows D B C A. D places over B in a close placing. I give D the advantage in being deeper through her chest floor and prefer the length and snugness of her fore udder attachment over B. Furthermore, D stands more squarely on her rear legs and appears to be cleaner through her hock. I however do grant that B is cleaner and more angular through her front end and more feminine through her head and neck. 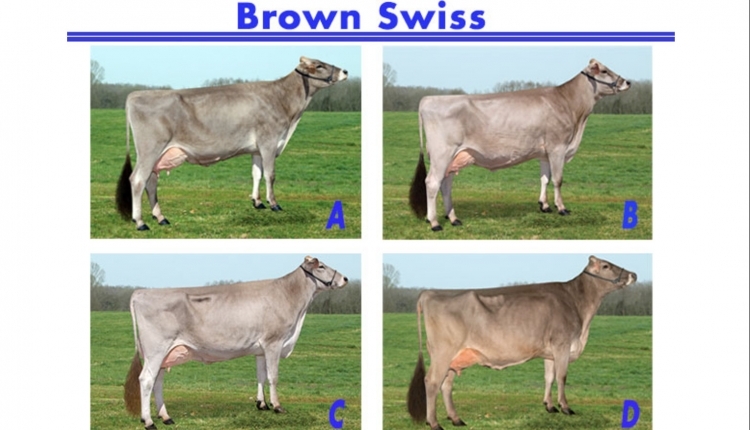 In the placing of B over C, B shows more dairyness and angularity throughout. B also shows more bloom to her mammary system. 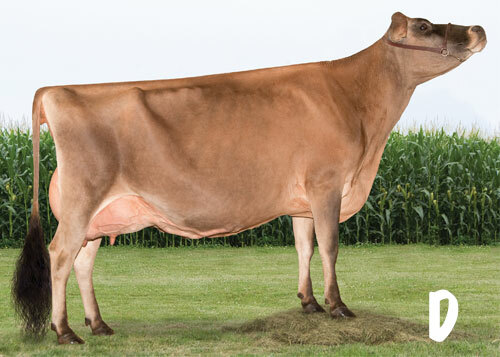 In addition, she shows more levelness of her udder floor and a more desirable teat size and placement. 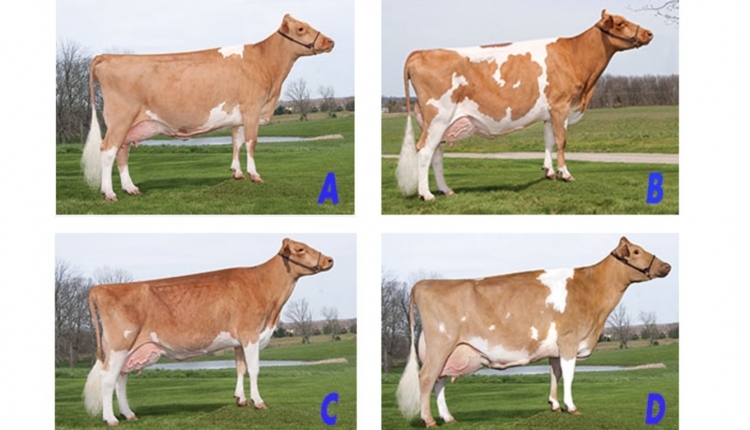 I also prefer the width of rump on B over C. I grant that C has a snugger fore udder. In the final placing, C over A as she excels in overall style and balance. C also shows more breed character through her head and front end. In addition, C has the advantage in her mammary system. 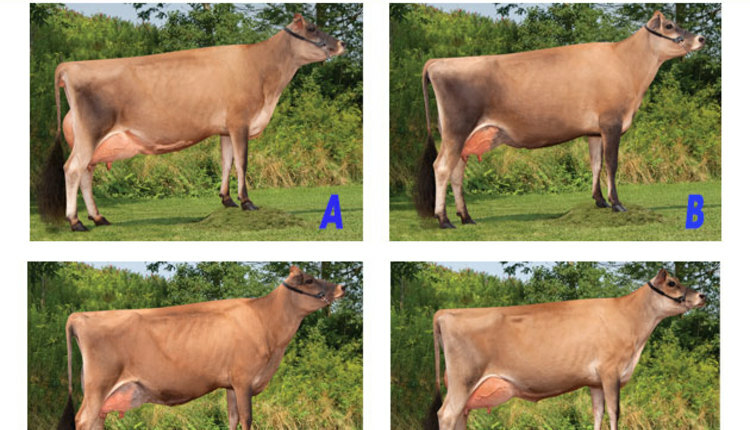 C is higher in her rear udder attachment and shows more quality and texture to her udder to put her over A. I concede that A has a more desirable teat size and shape than C.
Thomas placed the JERSEYS. He owns and operates Triple-J Holsteins and Jerseys with his wife, Jenny. 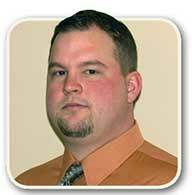 Triple-J Holsteins has garnered over 75 All-American and All-Canadian nominations in the past decade, and many high scoring individuals have called the farm home. 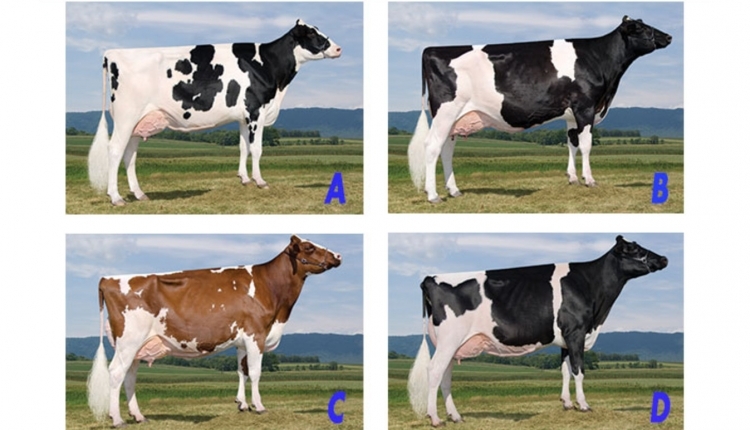 Most notable are Starmark Ad Hotstuff-Red, EX-94; T-Triple-T Gold Prize, EX-94; Ms Exels Dundee Beauty, EX-95 3E; Extreme Electra, EX-95; and T-Triple-T Dundee Paige EX-96 3E. 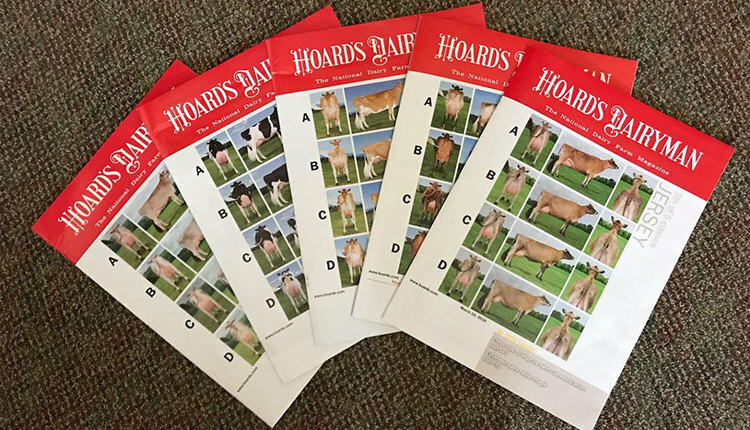 Thomas judged last year's Jersey show at World Dairy Expo and will judge the Holsteins this year in Madison and the Jerseys at the upcoming Royal Winter Fair. SCORING KEY Click here to see more classes in the 2015 Cow Judging Contest.